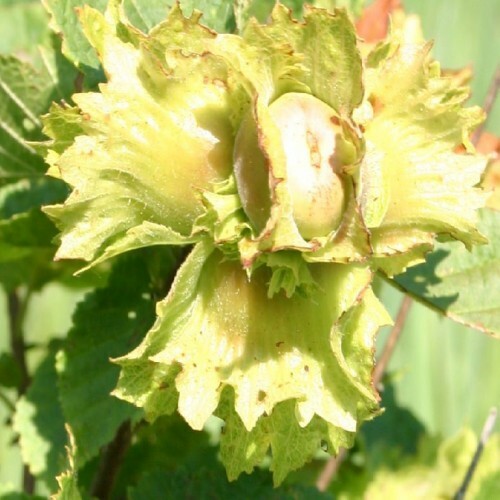 Selected using the most productive hazels on our farm. We began this strain by finding and selecting the most productive seedlings on our farm prior to us making a nursery. We also used a selection called Winkler from Minnesota and other seedlings from Iowa and central Michigan. Eventually the plantings contained the most vigorous and highest yielding individuals. 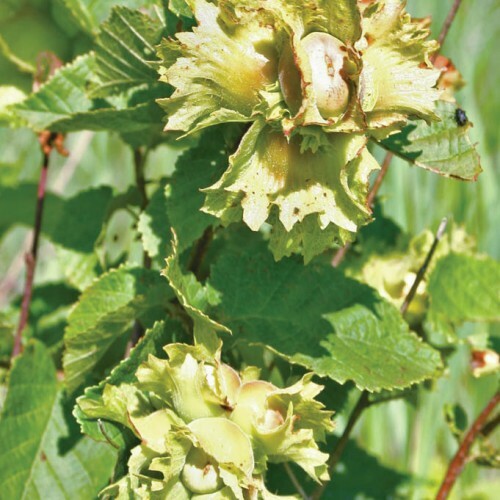 The Ecos selections now are roughly 20 individuals selected from over 1000 plants over the coarse of 20 years. 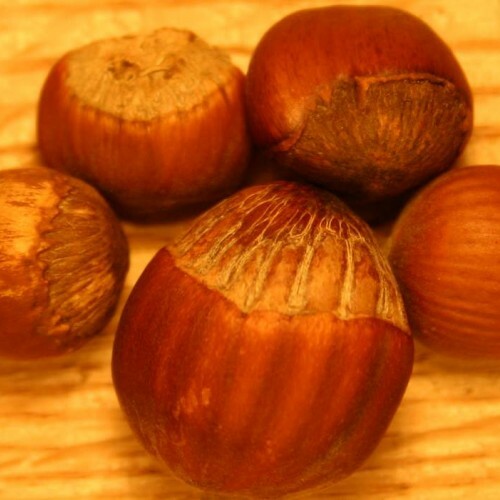 Small to medium sized nuts are produced in great profusion with many that contain thin shells that can be hand cracked. Runners are produced slowly outward. Older canes (6 years plus) once production begins to slow need to be removed. The runners will then be your new plant. Drought tolerant. No shipment to OR,WA. Self infertile.Needs two plants or another American, Precocious or Kens Select. Does best in slightly acidic soil that is well drained. Loam or sandy loam. Zone 3-8. Has been found into northern Florida but in general a northern species. 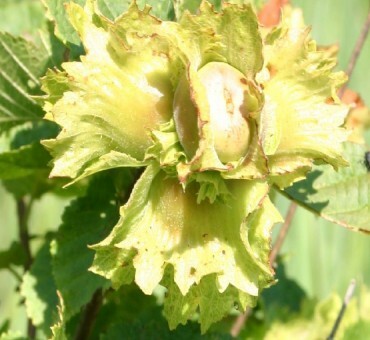 Has to be one of the most reliable nut producers on our farm.